The Japanese group Mitsubishi Heavy Industries downsizes its shipbuilding operations dealing with the crisis in the sector and current market downturn. The group decided to stop accepting orders for cruise and passenger ships, restructuring its facilities and design to fit with the market conditions, focusing to building of smaller ships with simpler specifications and other core businesses. 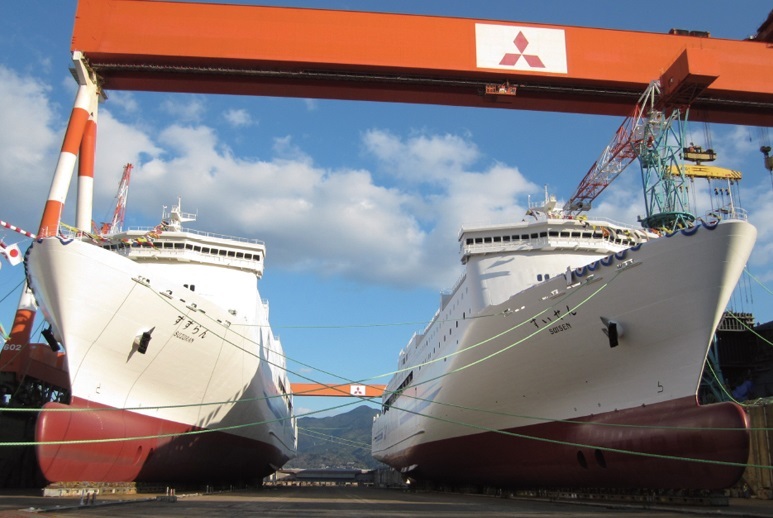 Also Mitsubishi Heavy Industries will share shipyards and equipment with other shipbuilding companies in Japan, proceeding to establish the first shipbuilding alliance in the country with Imabari Shipbuilding, Oshima Shipbuilding and Namura Shipbuilding. Still the plans are not engaged with reduction of employees. The serious market downturn and the decreasing number of orders last year, seriously hurt the finance statements and liquidity of many shipbuilders. Mitsubishi Heavy Industries aims to optimize its operations and focus on the core and high-profitable business. In the first half of 2016, new shipbuilding orders in Japan dropped by 82%, which is the worst performance seen since 2008. Japanese commercial ship industry went in trouble following the global economy delay and overcapacity on the market. Mitsubishi Heavy Industries is a Japanese multinational engineering, electrical equipment, and electronics company headquartered in Tokyo, Japan. The company’s products include aerospace components, air conditioners, aircraft, automotive components, forklift trucks, hydraulic equipment, machine tools, missiles, power generation equipment, ships, and space launch vehicles.